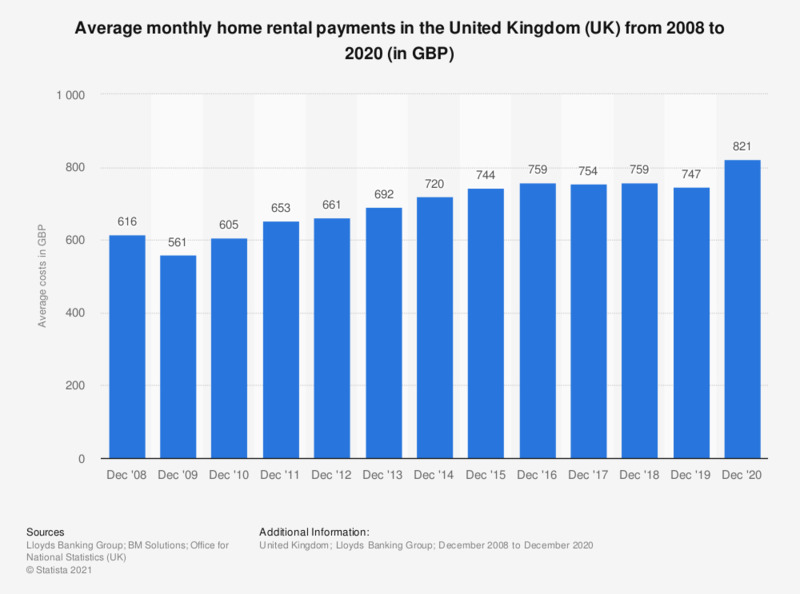 This statistic shows the average monthly home rental payments for first time buyers in the United Kingdom (UK) from 2008 to 2017. As of December 2017, the average home buying costs amounted to 679 British Pounds (GBP).In the 12 months to December 2017, the average cost of renting a property amounted to 754 British Pounds (GBP). Rental costs are 12 months to December. Weighted average of regional data using private rental housing tenure figures.